Two years of NDA government have meant a mixed bag for environmental governance in India, according to a performance review by Delhi-based non-profit Centre for Science and Environment (CSE). 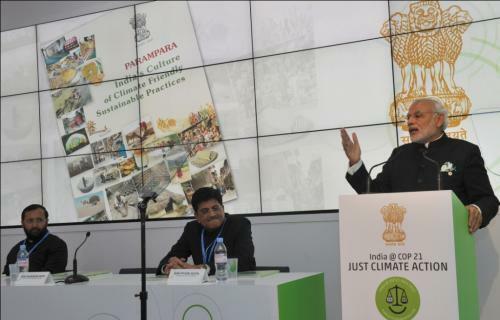 In an analysis of decisions and measures taken by the Union Ministry of Environment, Forest and Climate Change (MoEF&CC), CSE has concluded that while there was commendable progress on pollution control and waste management, forest governance took on a more industry-centric approach and the Paris Agreement was a missed opportunity. There was no significant departure in terms of environmental clearances granted for key sectors in NDA from the United Progressive Alliance (UPA) government. 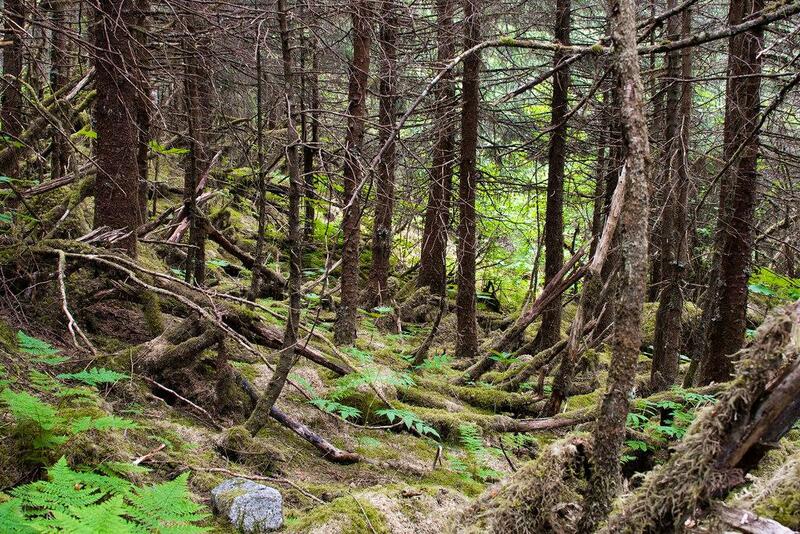 For forest clearances, the average rate of forestland diversion has, in fact, reduced. The NDA government took measures to make green clearances faster, facilitating matters for the project proponent. But there were no improvements in enforcement of regulatory requirements to safeguard the environment or interests of local communities. The government adopted several commendable measures to control pollution and improve monitoring. Technology-based mechanisms and self-regulation were viewed as main tools for enforcing regulatory provisions. The government took some important steps to deal with urban air pollution through a mix of policy tools. But it needs a comprehensive action plan to realise their potential. The move to expand LPG connection among rural poor was significant and timely to cut down household air pollution and protect health, particularly of women. Waste management emerged as a priority issue, which is reflected in notification of six waste management Rules. At the same time, the success of the flagship Swachh Bharat Mission largely revolved around building toilets, which is not sufficient to make India clean. The government’s “Namami Gange” programme for cleaning and rejuvenating Ganga saw little action on ground despite huge money outlay and plans. Forest governance is witnessing a gradual shift from a people-centric approach towards a more industry-centric and technocratic approach. The government’s emphasis on climate change inspires mixed hopes about the issue. While the Paris deal remains a lost opportunity, negotiations in amending the Montreal Protocol to phase down hydrofluorocarbons (HFCs) remain a test for the government, the success of which lies in bypassing industry interests keen on selling hydrofluoroolefin (HFO), a patented synthetic chemical. The National Democratic Alliance (NDA) government led by Prime Minister Narendra Modi has made no significant departure in granting environmental or green clearances to key sectors from that followed by the United Progressive Alliance (UPA) regime. In terms of forest clearances, the average rate of forestland diversion has reduced, according to a press release brought out by Delhi-based non-profit Centre for Science and Environment. Project clearances still continue to be low. However, the Centre has taken measures to make green clearances faster that are facilitative for the project proponent. The mining sector remains the focus for green clearances. For environmental clearance certificates granted at the central level in the first two years of the NDA’s term, more than 300 projects (new as well as expansion) combining coal and non-coal mining have been cleared. Among these are 68 coal-mining projects with nearly 164.29 MTPA (million tonnes per annum) capacity. 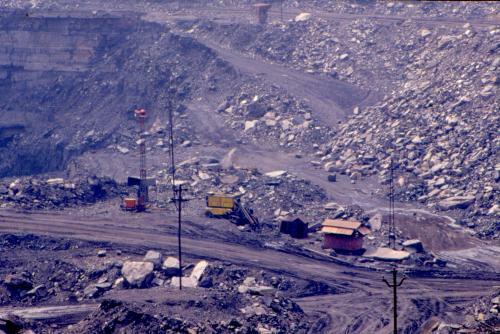 Non-coal clearances are dominated by projects for sand, bajri, stone and gravel mining, which account for about 190 clearances. However, clearances given to coal-based thermal power plants have significantly reduced in the past two years. This is reflective of the stagnation in the industry, the press release says. When it comes to forest clearances, the highest share of total forestland diversion is for mining projects. Out of about 47,473 hectares of land diverted (combining in-principle and final approvals), 29 per cent is for mining. This is followed by total diversion for the power sector (combining hydropower, wind, thermal and transmission lines), accounting for about 25.5 per cent. The government has also granted considerable clearances for roads (also connecting roads) and highways, including projects in the coastal areas. About 150 projects have been cleared under this as per government categorisation. “There is a trend of green clearances being made faster through incremental changes ‘easing’ the clearance process,” Chandra Bhushan, the deputy director general of CSE, said. Four broad policy measures have been adopted in this regard. Exemptions have been provided in the public consultation process (most pronounced in the case of coal mining). The requirement of the Forest Rights Act, (2006) compliance has been relaxed in parts. “…the measures are all facilitative for the project proponent with practically no improvement for safeguarding environment or (the) livelihoods of local communities,” the CSE report reads. Bhushan pointed out that “the government still misses out on the necessary reforms and measures that are required to improve the green clearance process for safeguarding (the) environment and community interests which are crucial for integrity of the clearance system”. Decentralisation of clearances, as perceived and practised, also remains problematic. “It is primarily for clearing projects quickly while the capacity and accountability of the institutions entrusted with clearing more projects remain a major concern,” Sunita Narain, the director general of CSE, said. While devolving power is an important consideration, it should only be done when environmental safeguards can be assured, the press release says. The capacity and accountability of the institutions entrusted with clearing more projects remain a concern. Narain also thinks that “it is just shifting of bureaucratic responsibilities while people’s participation in resource management remains marginal. The marginal engagement of communities becomes more worrisome when we consider the case of public hearing”. While public hearings have been undermined for years, there seems to be no improvement under the NDA government to reverse the course. “Unfortunately, the government continues to walk in (the) path of the UPA for diluting public hearing requirements for expansion of coal projects,” Narain added. This is extremely problematic as public support and involvement is critically essential for improving the status of environment and forests. The National Democratic Alliance (NDA) government has adopted several commendable measures to control air pollution and improve monitoring. These include technology-based mechanisms and self-regulation for enforcing the regulatory provisions, the press release says. Some important steps have been taken to deal with urban air pollution through a mix of policy tools, but they need a comprehensive action plan to realise their potential. “Several positive measures with respect to pollution control and monitoring have been proposed which are commendable and suggest that the government is giving some due thought to this matter,” Chandra Bhushan, the deputy director general of Delhi-based non-profit Centre for Science and Environment, said. The NDA has taken some crucial steps to deal with air pollution, the CSE analysis says. The implementation of the air quality index, leapfrogging to Euro 6 emissions standards in 2020 to lower the gap between emission standards for diesel and petrol cars and levying infrastructure cess on all cars on the sliding scale of pollution potential are significant ones. “The government’s pro-activeness to extend LPG connections among the rural poor and households below the poverty line is another welcome move,” Anumita Roychowdhury, the head of the air pollution and clean transportation programme at CSE, said. The government’s Namami Gange project for cleaning and rejuvenating the river Ganga has seen little action on the ground despite huge money outlay and plans. “Despite big money for cleaning the Ganga, an outlay of Rs 20,000 crore for five years till 2019 and several promising plans, action on ground for cleaning and rejuvenating the river remains far from satisfactory,” Sushmita Sengupta, the deputy programme manager of the water programme team at CSE said. The CSE analysis shows that so far the government has met only three points in its 13-point agenda for cleaning the river, which has only come through cleaning the river surface and ghats, creation of a Ganga task force and the creation of Ganga grams (model villages) along the main stem of the river. Besides, all of the 21 proposals sanctioned since July 2014 for cleaning the Ganga (according to the National Mission for Clean Ganga) are yet to be implemented. A negligible amount of money has been spent till date on actual implementation. The NDA government has taken significant measures to improve pollution standards and monitoring of various industrial sectors, the press release says. The standards for coal-based thermal power plants have been made stringent. The standard on coal-based power sector has been revised after a decade and will have significant improvements in the country’s environment quality. A new notification has also been issued on fly ash utilisation. The Centre is also keen to reduce water pollution from industries. 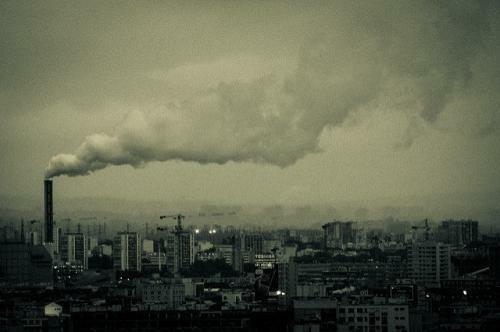 Pollution standards have been tightened for many polluting sectors such as coal-based power plants and sugar. For others such as iron and steel, cement, pulp and paper and fertilisers the proposal is already in the pipeline. A key example remains the continuous emissions monitoring systems. “If implemented properly, these measures will certainly make significant improvement for controlling pollution,” Bhushan said. However, Bhushan considers that “the regulatory agencies must be simultaneously strengthened in terms of manpower, resources and competence, and made accountable to compliment technology”. This is considering the fact that India has experimented for more than a decade with online monitoring technology without being successful in ensuring integrity of the system. Realising the relationship between waste management and manufacturing, the Central government introduced the Construction and Demolition Waste Management Rules, 2016. It also revised existing waste management rules with a focus on ensuring compliance through incentivisation mechanisms and penalise non-compliance. The Rules guiding solid waste management (SWM) have been revised after 16 years and is a significant improvement from the previous one both in terms of its applicability and management procedure. Applies to urban and industrial areas, in addition to municipalities (the only one under the previous Rules). Mandates source segregation of waste by generators, including bulk generators. Waste should be segregated into three categories– wet, dry and domestic hazardous waste. A user fee will be imposed on generators including bulk generators on a monthly basis for waste disposal, as determined by local bodies. Brand owners should ensure collecting back the packaging waste generated by them. Promotes composting in association with other Government departments. For instance, the Ministry of Chemicals and Fertilizers (Department of Fertilisers) and Ministry of Agriculture has to promote organic composting along with chemical fertilizers. Acknowledges the need of formalizing the informal sector. It must be strictly ensured that only residual wastes (“non-usable, non-recyclable, non-biodegradable, non-combustible and non-reactive waste”) go to the landfills. The ultimate question though remains how to ensure strict implementation of the Rules on ground, such as monitoring of waste segregation, imposition of ‘spot fine’ by local bodies for non-compliance and successful incorporation of informal sector. Requires segregation of BMW waste generated at the household level in separate bags. Urban local bodies should make arrangements for its collection in a prescribed manner. The urgency for managing e-wastes came through the e-waste Rules in 2011. The revised 2016 Rules take into account some key issues that were earlier left out, and improve on various others. Extended Producer Responsibility (EPR) has been made stringent. Producers are now required to meet 30 per cent target for take back during first two years of implementation of the Rules. Also to ensure compliance of EPR target, producers can now charge an additional amount as a deposit fee at the time of sale of the product under “Deposit Refund” scheme. This will be refundable when the consumer returns the product. Introduces single window authorisation for producers to ensure better operation. Producers can now take a single authorization from CPCB, as opposed to separate ones they had to take from various SPCBs in all the states the company was operating. Without authorization, producers will not be able to sell a product, which was not specified earlier. Refurbishers have been recognised and asked to take one-time authorisation for easy tracking and monitoring of these sectors and proper channelisation of e-waste generated. CPCB is now required to maintain exclusive online register of EPR. Individual and bulk generators are required to segregate plastic waste at source. In case of noncompliance, fines will be imposed as specified in by-laws of urban bodies. As a measure of EPR, for the first time the producers and brand owners of plastic products have been made responsible for collecting waste generated from their products. Earlier, EPR was left to the discretion of the local bodies. Have brought rural areas in its ambit, where the Gram Panchayats have been made responsible for ensuring implementation of Rules. Requires the thickness of plastic bags to be increased from 40 to 50 microns. Also, shopkeepers or street vendors registered with the local body have to pay a fee (Rs 48,000 at Rs 4,000 per month) to be eligible to provide plastic carry bags for dispensing the commodities. The local bodies are required to utilize the money exclusively for waste management systems within their jurisdictions. Municipal bodies to engage agencies or groups working in waste management, including waste pickers. The new rules, though better than the earlier one, remain limited on some key aspects. Fails to take into account the consideration of replacing plastic products. The Rule almost perpetuates the status quo use of plastic products and then speaks of a system to clean it up. It also fails to integrate learning from the States that has successful banned the use of plastic bags, such as Himachal Pradesh and Sikkim. Also imposing a fee on shop keepers (particularly if they are small) and street vendors will only encourage corruption and not solve the problem of plastic menace in the cities. Introducing EPR is a good initiative, but it needs to be improved. Like the e-waste Rules a take back/re-use mechanism should be brought in. Standard Operating Procedure (SOPs) specific to waste type, have been prescribed for the waste processing industry to safeguard environment and public health which is good. Some parts of the listing also remain inappropriate. For example, “date expired” bulk drugs and pesticides remain listed under “process generating hazardous waste” which are actually finished products. These can be stored/ stockpiled at various sources such as dealers, retailers and hospitals. These should have been listed under a special class such as non-specific source. Another important concern remains the capacity of small states to treat hazardous waste as it is not economically viable for them to develop a TSDF. In that case, movement of such waste across states becomes essential. Therefore, the Rules should have clearly institutionalised the provisions of interstate movement to manage hazardous waste in an effective manner. The first ever notification of the Construction and Demolition (C&D) Waste Management Rules happened in March 2016. The Rules include various provisions for recycling and reuse of C&D waste. Bulk C&D waste generators are required to submit a waste management plan detailing the appropriate collection centres, mechanisms of transportation of C&D waste to treatment and processing facilities. The new C&D Rules is a much needed development of the hour, as the reuse potential of C&D waste is extremely high and it cannot enter sanitary landfills. A clear and stringent mechanism now needs to be set up for improved segregation, collection, treatment and processing of C&D waste. Also, emphasis should be laid on decentralizing collection and recycling for easy availability of the recycled products across the country. The local bodies must incentivize use of recycled products by lowering the cost and through public awareness. CSE analysis shows that most of the Rules have been significantly improved from their earlier versions to address several challenges of the day with the C&D Rules being brought in for the first time. 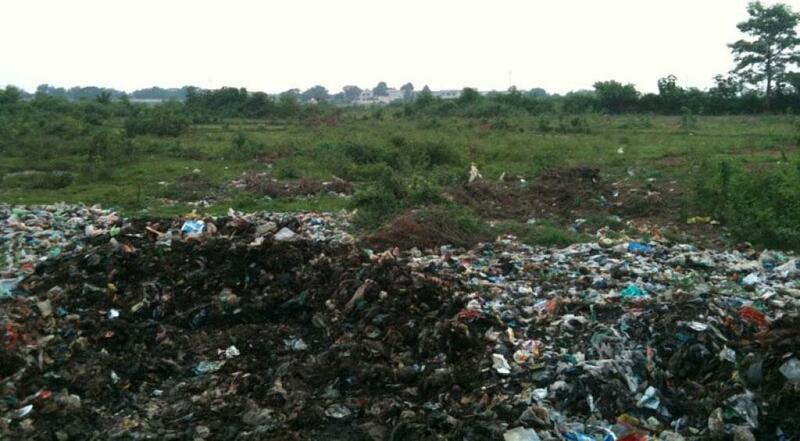 “Waste management has clearly emerged as a priority issue the Government wants to tackle. The waste management rules notified by the Central government covering the areas of solid, plastic, electronic, bio-medical, hazardous and construction and demolition (C&D) waste signal this” says Sunita Narain, director general of Centre for Science and Environment. Some key improvements in revised rules include separating wastes at source for better treatment and management. It encourages reusing, recycling and expanding the scope of application of most rules. “The opportunity is there, therefore it must be ensured that these rules are properly implemented to fulfil their potential” says Narain. Apart from proper co-ordination between all stakeholders, including authorities, in the chain of processes, Narain also recommends formal integration of the informal sector. Last year, Down To Earth analysis had suggested that the NDA government has not taken measures to strengthen environmental governance. The sentiment remains the same even after the government completed two years in office. While forests remain a key focus of the reform initiatives of the Centre, various initiatives proposed by the government limit the scope of addressing the issue of forest management comprehensively. “There is a suggestive trend of shifting from a people-centric approach towards a more industry-centric, technocratic and bureaucratic approach” says Chandra Bhushan, deputy director general of Centre for Science and Environment. To incentivise states to conserve forests, the 14th Finance Commission has recommended inclusion of forest cover as one of the five parameters for determining a state’s share of the Union tax revenue. Forests have been assigned a weight of 7.5 per cent. Recognising that the states might have to forego revenues/ economic opportunities at the cost of maintaining forest cover, the Finance Commission’s idea is to compensate the states for such losses. This is a welcome move as the revenue would be credited directly to the state’s accounts. Accordingly, states like Arunachal Pradesh, Madhya Pradesh Chhattisgarh, Maharashtra and Odisha with a relatively high share of dense and moderately dense forest cover will get rewarded with higher revenue shares. However, the proposed incentives as of now, is based on dense forest cover in the various States. It leaves out other natural ecosystems such as wetlands and grasslands, which although lack tree cover, have huge ecological values. This shortcoming needs to be addressed. Also research should be carried out to create a state level inventory of total conservation value of all types of forests in the state – dense, moderately dense and open. Payments to states should be made on the basis of changes in the conservation values and not merely on the basis of dense forest cover. Unlocking the Compensatory Afforestation Fund (CAF) has been a key focus of the NDA Government. In April 2015, the Union Cabinet chaired by the Prime Minister cleared the CAF Bill, 2015. The corpus of the CAF at that time was Rs 38,000 crores. Currently, it stands at Rs 42000 crores, rising by about Rs 6,000 crores annually. The Bill, after being reviewed by the department related PSC on Science & Technology, Environment & Forests, and taking into account some the Committee’s recommendations, was tabled in the Parliament on May 3, 2016 and passed by the Lok Sabha on the same day. The Bill now awaits the decision of the Rajya Sabha. Establishment of CAFs at the National and the State levels to credit amounts collected by State governments/ UTs towards compensatory afforestation. Constitution of a National Authority to manage and utilize amounts credited to the National CAF. Similarly, a State Authority should be constituted in each State/UTs. Establishment of a Monitoring Group to assist the National Authority in monitoring and evaluation of activities undertaken from amounts released from National and State CAFs. No involvement of grassroots organisations such as Community Forest Resource Management Committees (CFRMC), Joint Forest Management Committees (JFMC), Van Panchayats, Village Forest Protection and Management Committees (VFPMC) in compensatory afforestation. The money accrued in the CAMPA funds has huge potential to improve the quality of our forests, as well as the livelihoods of forest dwellers and forest dependent communities. However, as evident, the Bill needs to be improved from its current form. It must take into account the shortcomings as mentioned above, if we want to put an effective law in place for compensatory afforestation. The MoEF&CC in 2014 (F.No.7- 8/2014-FP, date not available) had issued guidelines enabling participation of private sector entities in carrying out afforestation of degraded forest. The proposal is to make available ‘degraded forests’ to different private agencies including industries requiring timber and other forest produce for their end use. According to the guidelines, in the first (pilot) phase, degraded forests with forest cover not exceeding 10 per cent will be made available to industries for their use. State forest departments have been asked to identify 5000-10,000 ha of such forest areas for industries. From the area leased to industries, the industry can use 85-90 per cent to raise plantations, and 10-15 per cent is to be used to plant mixed species of use to the local community. After the pilot phase, the guidelines will be implemented nation-wide. It will destroy the flourishing farm forestry-industry partnership model which is able to supply almost all of the raw material requirements to paper and wood-based industries in India. Currently, close to 20 million farmers are involved in farm forestry. It will stand in variance with the National Forest Policy (1988) which provides for sourcing industrial wood from farmers. It will potentially violate the rights of people as recognised under the Forest Rights Act (2006). It restricts the user rights of the community (to be used to plant mixed species) to mere 10-15 per cent of the total allotted land to industries. This is not the first time that handing over of degraded forests to private entities has been proposed. But such proposals have not seen the light of the day, as they were opposed by community groups and the civil society. The current guidelines have not been implemented yet. However, this is not the approach that should be adopted to improve productivity of our forests. Instead of handing over forest to private agencies, the Government should focus on strengthening farm and social forestry. This in turn has huge potential to strengthen the agriculture sector as well as to create jobs in the rural areas. That will be a sustainable way to manage our forests, simply handing it away to the private sector is not. In general, any proposed reform should capture the perspective of both ecology and people’s livelihood. Only by addressing this in totality we can ensure the protection of forests. The guidelines for constitution of Eco-Sensitive Zones (ESZ) around National Parks (NP) and Wildlife Sanctuaries (WS) were issued by the union environment ministry through an Office Memorandum of February 9, 2011. However, actions did not happen as expected on part of various states, and the Ministry on February 15, 2013, gave a deadline of May 15, 2013, for declaration of the ESZs. But still, most states remained lax. The NDA government, however, has given a big push to the matter. A total of 491 proposals have been received by the ministry (as per Lok Sabha unstarred question no. 1422 dt. 3.5.2016). Of these, draft notifications have been issued for 187 proposals and 33 have been notified. A major effort of the Central government remains unlocking the CAF, the corpus of which currently stands at Rs 42,000 crore. The potential of this money remains enormous for improving the state of forests as well as the livelihoods of forest dependent communities if used through proper planning and accountability. However, the draft Bill has several limitations, shows CSE analysis on the matter. It does not have any scope for participation of local communities. Similarly, the Centre has also been contemplating the engagement of private sector in carrying out afforestation of degraded forests for industrial use. Though the proposal still remains under consideration, but the thought is in line with the industry-centric approach. Proposed measures of forest conservation and management are also focused on increasing forest cover, without giving equal emphasis on improving biodiversity and productivity of forests, which are important if quality of forest is to be considered. It also does not ensure forest benefits to local communities, notes the CSE analysis. “These approaches, if continued with, will neither ensure the overall improvement of the quality of our forests, nor their sustainable use by people” considers Bhushan. “Any proposed reform must capture the perspective of both ecology and people’s livelihoods,” he says. The Narendra Modi-led National Democratic Alliance (NDA) government’s climate change policy over the last two years has been a “mixed-bag”, New Delhi-based public research and advocacy think tank, Centre for Science and Environment (CSE) has stated. CSE made the comments in a report that it recently released, where it reviewed the performance of the NDA government at the end of its two years in office on measures of environmental governance, particularly as undertaken by the Ministry of Environment, Forest and Climate Change (MoEF&CC). These include green clearances, pollution control and monitoring, waste management, proposed reforms with respect to forest governance and climate change. “The government’s renewed emphasis on climate change gives a mixed bag of hope about the issue,” Chandra Bhushan, Deputy Director General of CSE said in the report. “While the Paris deal remains a lost opportunity, negotiations in amending the Montreal Protocol to phase down hydrofluorocarbons (HFCs) remains a matter to be tested in the government’s success to bypass industry interests who are keen to sell hydrofluoroolefin (HFO)- an intermediate synthetic chemical,” he added. The CSE report also talked about the NDA government’s new agricultural insurance scheme- the Pradhan Mantri Fasal Bima Yojana (PMFBY) released in February this year. The crop insurance scheme, CSE noted, was an “important move” by the government and a “welcome step”. However, there were some concerns about its implementation. These included the fact that the insurance unit still remained at the gram panchayat/block level and not at individual farm level and the premium would be deducted from the loan amount of the loanee farmers. Also, the scheme would not be very effective in addressing farmer concerns in distressed areas which have faced crop losses due to calamities in successive years like Marathwada and Bundelkhand. In these areas, the historical average yield and indemnity level as factored in would be very low. The performance of NDA Govt during last 2 years with regard to Environment Protection can be judged form speedy Environmental Clearances for Road Projects, Coal Mining Projects, Bulk Dug Manufacturing Units etc unmindful of their long term adverse impacts. What we need is the Rule of Environmental Law and not modification of Rules. The On line Monitoring , Zero Liquid Discharges etc sound very well , but how about the authentic and reliable Standards which are quantified and measurable,their monitoring and accountability ?